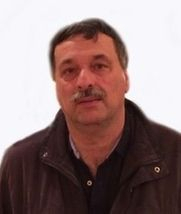 It is with broken hearts that we announce the passing of Mirko (Mike) Maodus with his beloved family by his side on January 20th, 2018 at 64 years of age. Loving husband of Kim (Mirka) with whom he shared 32 years of beautiful marriage. Loving Tata (Father) of Dusan (Amanda), Pavle and Nikola and proud Deda of Alexija whom he adored. Dear son of the late Cetnik Djuro of Medak Lika and Desanka of Doljani Lika. Brother to Milica (Marko Vukov), Dusan (Pam) and wonderful Ujak to Alexandra (Arthur Manoli), Nicholas Vukov, Jessica (Brad) and Holly (Mike). Mike was a Police Officer for 28 years, first with Toronto and then finished his career with Halton Regional Police and retired in 2003. His big heart and warm smile will be dearly missed by everyone that knew him. Vjecnaja Pamjat. A viewing and prayers will be held at the Anderson Funeral Home located at 895 Ouellette Ave, Windsor Ontario on Monday January 22nd at 7:30PM. As well there will be a viewing at the Markey-Dermody Funeral home located at 1774 King St E, Hamilton Ontario on Tuesday January 23rd between 7:00PM-9:00PM. The funeral will be held at St. Nicholas Orthodox Cathedral located at 149 Nash Rd S in Hamilton Ontario on Wednesday January 24th at 11:00AM. 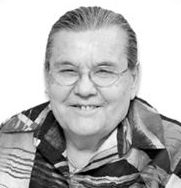 It is with saddened hearts and beautiful memories that we announce the passing of our wife, mother and Baba, Milka Chuk. Born on August 4, 1947 in Bocholt, Germany. Passed away quietly with loved ones by her side on Thursday, May 3, 2018. Milka immigrated to Canada with her parents and brothers on February 13, 1952. Survived by husband Bogdan (Bob) of 49 years, daughter Nadia (Anthony) Moscardelli, son Petar (Natasa) Chuk, and brother Milan Vezmar. Cherished and adored Baba of Nikola Moscardelli, Matija Chuk and Mila Chuk. Much loved daughter of the late Dusan (1994) and Anka (2015) Vezmar. Predeceased by youngest brother Nikola (1999). Milka leaves behind Kumovi, aunts, uncles, cousins, nieces and nephews in Canada and Serbia. Milka was a long time employee of the Greater Essex County District School Board. Heartfelt thanks and gratitude to Dr. Robert Gibb, Dr. Akira Sugimoto, Dr. Akman Ghafoor, Dr. Meighan Valero, Dr. Vikesh Maraj, Windsor Regional Cancer Centre, the nurses of Bayshore, the Hospice of Windsor & Essex County staff and volunteers and Milka's songbirds for the love and care she received. Passed away peacefully, surrounded by his family after a brief illness on July 22, 2018. Beloved son of Stevo (1987) and Mara Brkovich. Loving brother to Mike (Milan) of Windsor, Don (Dragan) and wife Rene of Las Vegas. Will be sadly missed by his uncle Nikola Ninkovic and many relatives in Trebinje, Herzegovina and Kumovi and friends in Canada and the USA. It was his strong Serbian Orthodox Faith that guided him throughout his life. He was a lifelong member of the Gracanica Serbian Orthodox Church were he served as Treasurer on the church executive for more than 30 years. 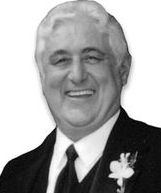 He served as the First Vice President of the Serbian National Shield Society the oldest Serbian organization in Canada, he was a founding member of the Serbian Community Centre, he was a regular volunteer for the huge Serbian Day gatherings in Niagara Falls and was also a member of the Serbian Heritage Museum Board. 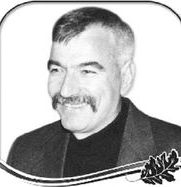 Bob was the President of the Local Branch 345 of the Serb National Federation and wrote regularly for the American Srbobran and with his prolific pen he wrote articles in almost every issue of the Voice of the Canadian Serbs and submitted articles to the newspaper Srbija. Bob supported his community in many other ways including being involved in many other organizations, far too many to list. He read voraciously and had an encyclopedic memory. He had the historic details of Windsor's Serbian Community at his fingertips. In times of sadness he responded by writing countless eulogies for parishioners at Gracanica and St Dimitrije Serbian Orthodox Churches. His loss will be mourned by his family, friends and countless people whom he helped out in many ways. He was a good Samaritan who had a soft spot in his heart for anyone in need, this was evident as he regularly offered a helping hand to the elderly by driving them to medical appointments, assisting them with groceries and stepping forward to help them when they suffered a lost in the family. Bob was a proud and devoted Canadian who supported many local charities with the help of this brother Mike. The success of Mike's businesses are due in part to Bob's diligence, hard work and loyalty to his family. He worked side by side with his brother Mike for 35 years. 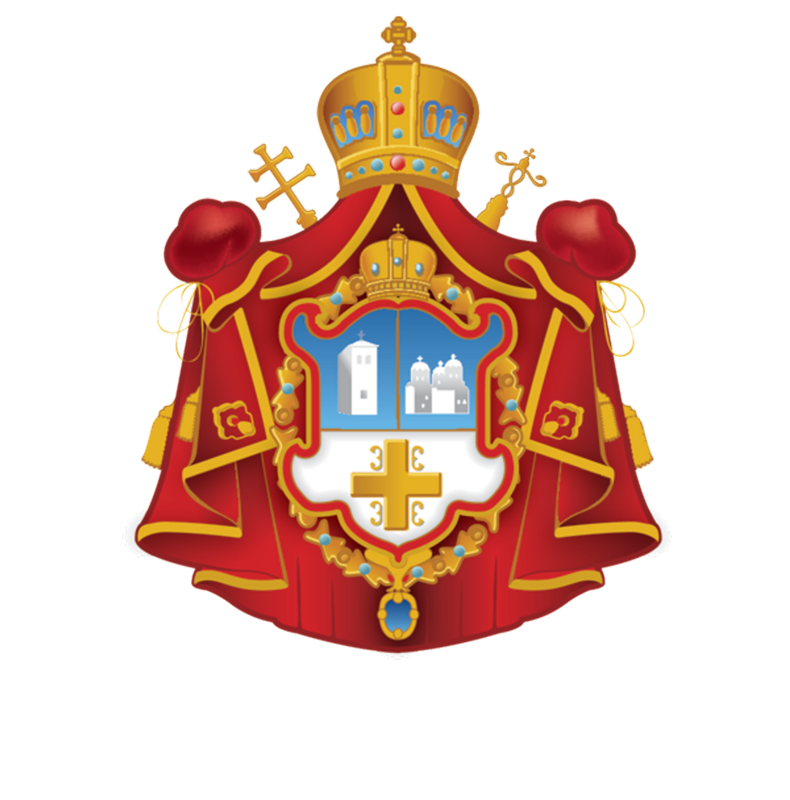 The essence of his goodness, honesty, up rightness, humility is based in the traditional Serbian upbringing by his loving parents. Bob lived a life of honour, modesty and simplicity. What you saw is what you got. Quiet in demeanor, he was a courteous, generous, kind and considerate person to everyone who knew him. Our home, our lives and our community are empty now, but Bob's passing only magnifies his presence and his contribution. May he rest in peace in the embrace of the Lord. He will be missed by his family and friends always "Vjecnaja Pamjat". Surrounded by God’s love and light, on August 20, 2018 at 79 years of age. Cherished husband of Soja (Sofia) for 50 years. Beloved father of Milica (Mirco) and Marica Mary. Treasured Deda of Sofia. Dear brother of Marica and the late Milan and Jovica. Loved brother-in-law of Mileva (and her daughter Milka), Marija, Milica, Danica, and the late Djuro. Adored son of the late Nikola and Milica. Dane with honor, courage, wisdom, and devotion created a blessed life for him and his family filled with infinite love, happiness, and laughter. His endless generosity and compassion touched the lives of many. He was a masterful tool and die maker who retired from Ford Motor Company. Dane’s loving spirit will forever remain in our hearts and souls. It is with broken hearts that the family of Momir Petko announces his passing after a courageous battle with cancer, on Saturday, November 24, 2018, at the age of 64 years. Momir will be lovingly remembered by his wife, Boga (ex Smiljkovic) of 41 years, loving tata (father) and hero to his daughter Tina and son Daniel. Cherished son of the late Milos and Marija and beloved brother to Milan, Rajka and Andja. Fondly remembered by a large number of brother and sisters-in-law, nephews, nieces, cousins, Kumovi, and dear friends. Momir was born in Uzdolje Dalmatia, former country of Yugoslavia. In 1977, he met and married the love of his life and best friend, Boga, in Windsor, Ontario, where they started their new life together and raised their family with love and support. Momir worked for the General Motor Transmission Plant for 30 years and spent every day of his retirement enjoying time with his family and friends. He was also a member of the Gracanica Serbian Orthodox Church. Momir will always be remembered by his kind heart, smiling eyes, and the moustache he wore proudly along with the love of the harmonica and music. Thank you to all the Doctors, nurses and staff at the International Cancer Institute. Visitation will be held on Wednesday, November 28 from 2 p.m.-4 p.m. and 6 p.m.-8 p.m. at WINDSOR CHAPEL (Banwell Chapel), 11677 Tecumseh Road, East, Windsor, 519-253-7234 . 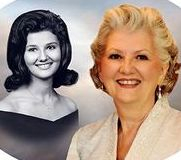 Prayers will be held on Wednesday evening at 7:00 p.m. Funeral services will be held at the Gracanica Church (1960 Meldrum Road) on Thursday, November 29, 2018 at 11 a.m. the very Rev. Fr. Vladimir Vranic officiating. Interment to follow at Windsor Memorial Gardens. As an expression of sympathy, memorial donations may be made to the Gracanica Church. Any donations made at the funeral home will be given to the Transition to Betterness foundation.